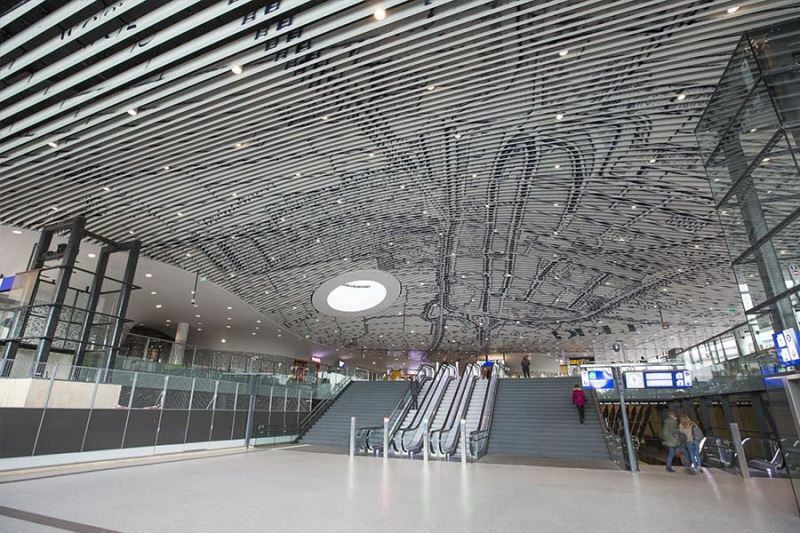 New municipal offices have been built in Delft, incorporating the station concourse for the underground railway station. The municipal offices are the gateway to Delft and form the link between the historic inner city and the surrounding residential areas. 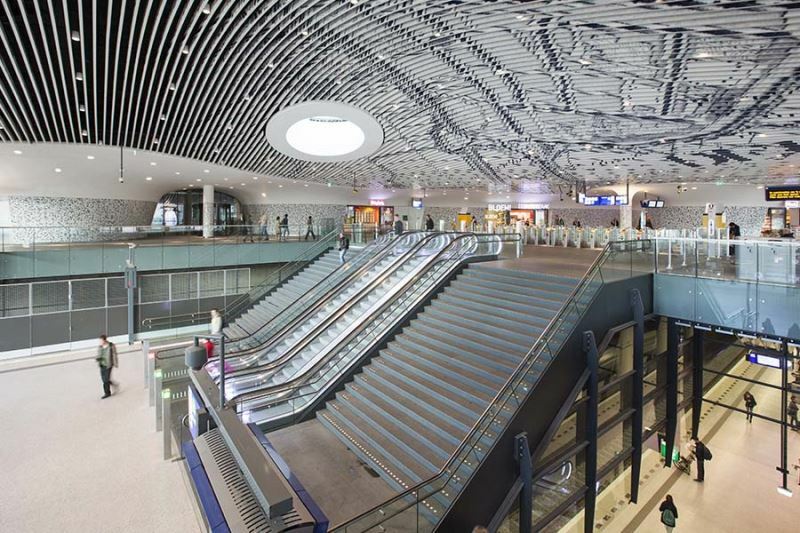 The team from Mecanoo won the competition for the station concourse and the municipal offices. From the start, ABT has been part of this team, along with Deerns, LBP|SIGHT and Basalt. The municipal offices have a sculpted shape. They link up to the surroundings through indentations in the contours of the building mass. Lowered roof lines on the corners provide a gradual transition to the surrounding buildings. Large spans are needed to achieve close coordination between the sections above and below ground level. For this, ABT came up with a clear, uniform structure. 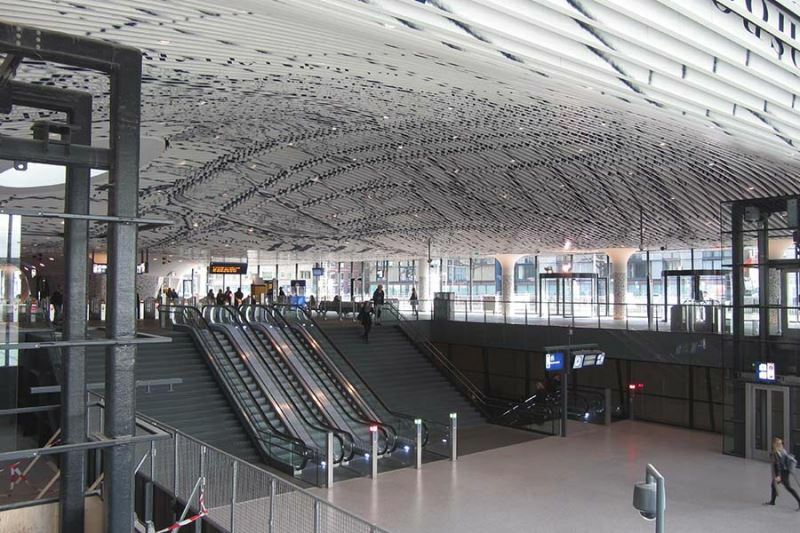 Passengers reach the station concourse via a mezzanine level on the southern side. Columns are ruled out on this mezzanine level. The municipal offices have a span of 40 metres here. Columns can be used on the north side. As a result, a span and overhang of 20 metres are sufficient. The overhangs on the north and south sides have projecting trusses. Steel trusses are the only option here. Contact with the rail tunnel developers was intensive. 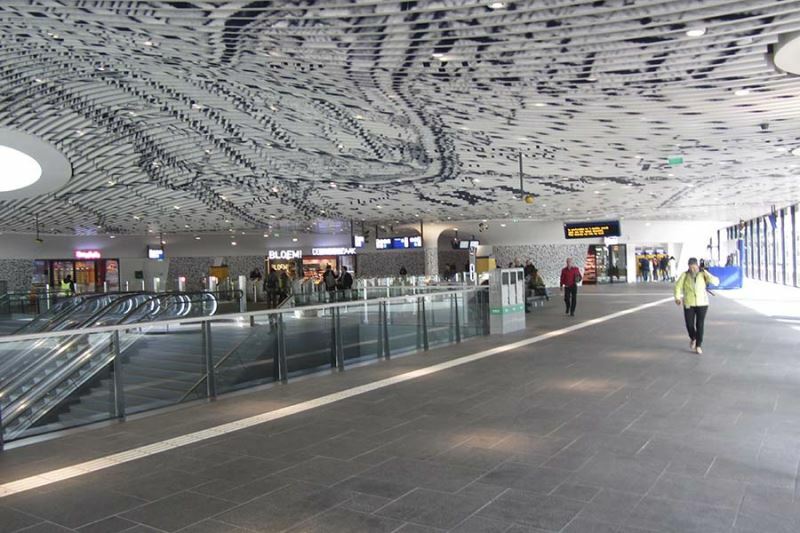 Crommelijn construction consortium was responsible for building the tunnel and the station. In the preliminary design, ABT provided the forces on the tunnel walls and columns. Crommelijn calculated the size of the foundations on this basis. A high spreader beam was required over the deep wall foundations. Anticipated subsidence of the deep wall foundations provided the input for installing and sawing the trusses. A condition was that vibration from the trains was not to affect the municipal offices. ProRail investigated this vibration. Special, damping ballast mats under the track limit the vibrations in the municipal offices. 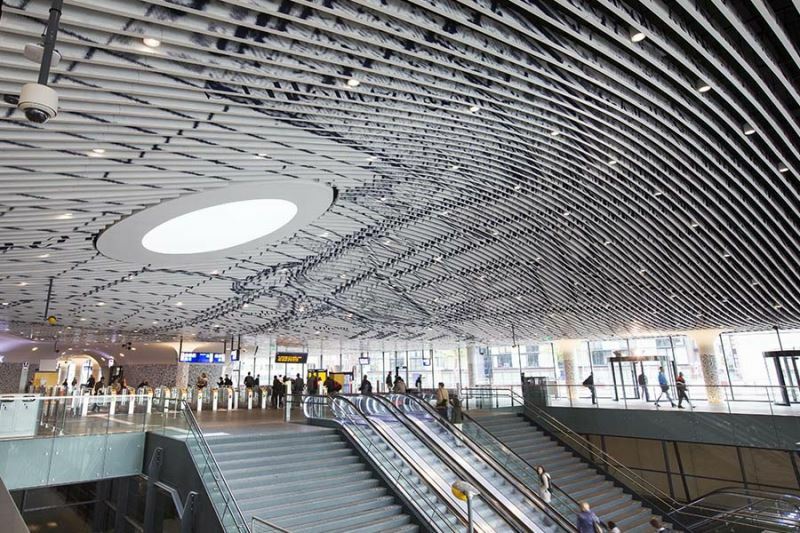 In addition, the façades of the station concourse were calculated for high overpressure on the inside. Apart from the construction, ABT also provided the tendering and the site management. ABT made use of VISI for communication and recording decisions. VISI is a software tool that has been partly developed by ABT. This tool helps to sharply limit the failure costs and clearly records agreements that have been made. The Just in Time principle was key to execution. Work went on in the centre of Delft during construction. ABT designed the trusses in small sections. The trusses were pre-assembled and checked for dimensional stability by Hollandia B.V. They were then dismantled and reassembled on site. BAM Bouw en Techniek bv took care of placing the trusses.